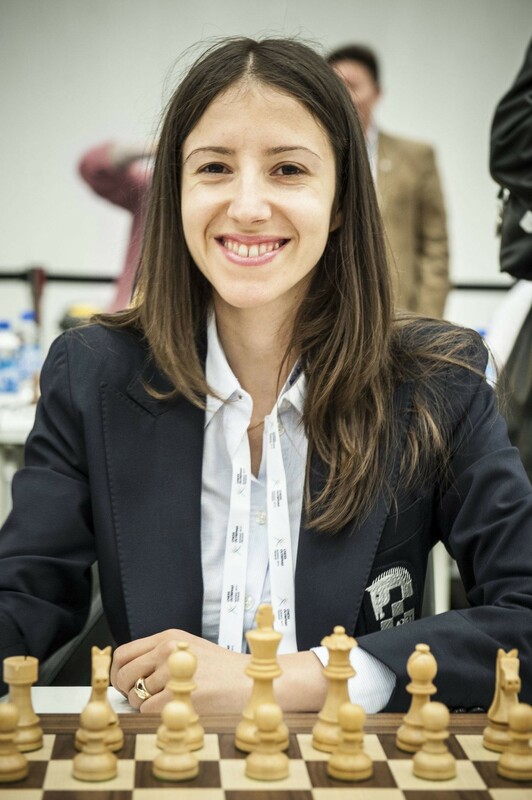 - A certified FIDE Trainer (FT) with current FIDE rating of 2370 (up to May 1, 2017) and a Bachelor’s degree in chess coaching; worked as a chess coach in Dubai Chess & Culture Club (Dubai, UAE) from 2015 to 2017. Iva is a very good trainer. She works on a theme and afterward you get some training material. Iva is tranning my daugther and she is really very good. She is doing na excelente work: the classes are very well prepared and adjusted for her, always on time, she send material and excercices after every class. As an adult beginner, I picked Iva because of her impressive coaching credentials and I haven't been disappointed. She comes very prepared to my lessons with a nice combination of structured exercises to help my progress and personalized analysis of games I've played. She also gives me related material to work on in between lessons. We meet for two hours and easily use the whole time with the amount of material there is to work on. When I was researching coaches for beginners, I came across the advice that their teaching skill was in some ways more important than their playing skill. With Iva, you don't have to choose one or the other! She is clearly a very strong player has demonstrated her skills as an excellent educator.